Flange bolts are hexagonal flange bolts consisting of a hexagonal head and a flange. The cylindrical externally threaded screw consists of two parts of various bolts, which are fixed with nuts for fastening and connecting the two bolt through hole parts. 1, flange categories: Depending on the position of the flange bolts is different disk size requirements vary, and another flat and toothed points, toothed anti-slip effect. 2, connected by force, there are common and have articulation hole of the flange bolts articulation hole to hole size and fit that is used when lateral force. 3. hexagonal head types: flat brain, the brain and the other is concave. 4.the surface color categories: according to different needs, the surface coating of white, green, yellow color, corrosion-resistant Dacromet. 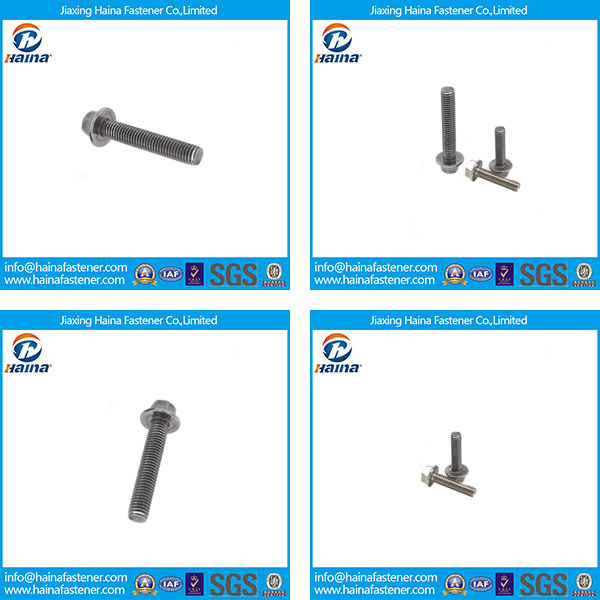 In addition, to meet the needs of the lock after installation, the rod portion with a hole, the holes can not screw loose when subject to vibration. Some flange bolts threaded rod portion not to do, called thin rod flange bolts. This flange bolts in favor of change by force coupling. 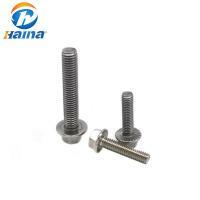 Ordinary bolt heads are very thick and difficult to deform. If vibration occurs after the good, it needs to be re-tightened. The thin part of the flange can be slightly deformed and can be locked more firmly. Also, if you go up to the hole, there is no way to use the tool for the ordinary bolt. The flange bolt has a smaller head, and the lower flange also plays a fastening role, but can be used to go to the hole with a special tool. , about the same principle as the hexagon socket bolt. Then there is the flat top pad for the flange, which is safer on softer, non-wearable materials and does not cause perforation. 1. A flange is a connection between two large diameter pipes, usually two flanges plus a number of fastening bolts. Carbon steel flanges are flanges made of carbon steel. Low-carbon steel has good plasticity and low strength. When a proper amount of carbon is added, it becomes hard and the plasticity is reduced. 2. Flange connections may have to withstand high tensile, compressive, torsional, and shear strength. Carbon steel flanges are a good choice. The nominal pressure is determined not only according to the highest working pressure, but also according to the highest working temperature and material characteristics, not just the nominal pressure greater than the working pressure.